This entry was posted in English and tagged Biblical Theology, Hebrews, New Testament, overview. Bookmark the permalink. 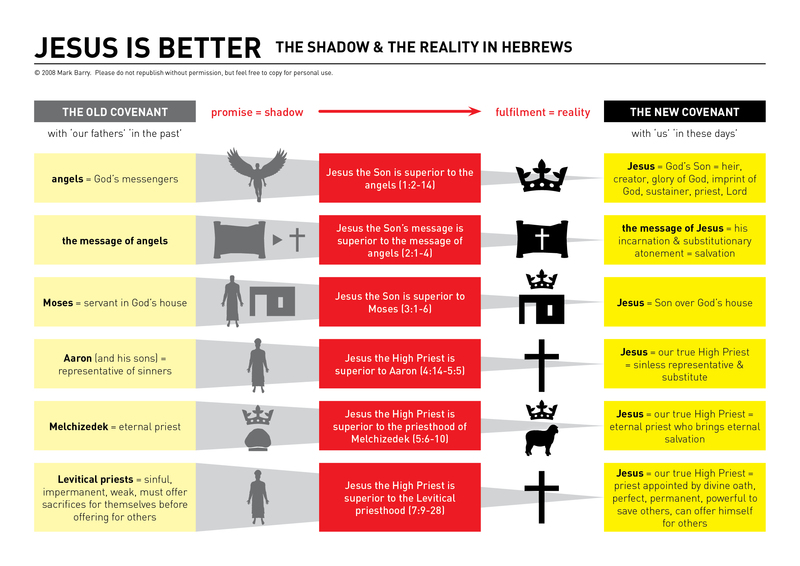 Hi Mark – the ‘Jesus is better’ graphic is great – thanks a lot. Would it be possible for me to copy and give out at a bible study I’m leading on the book of Hebrews? 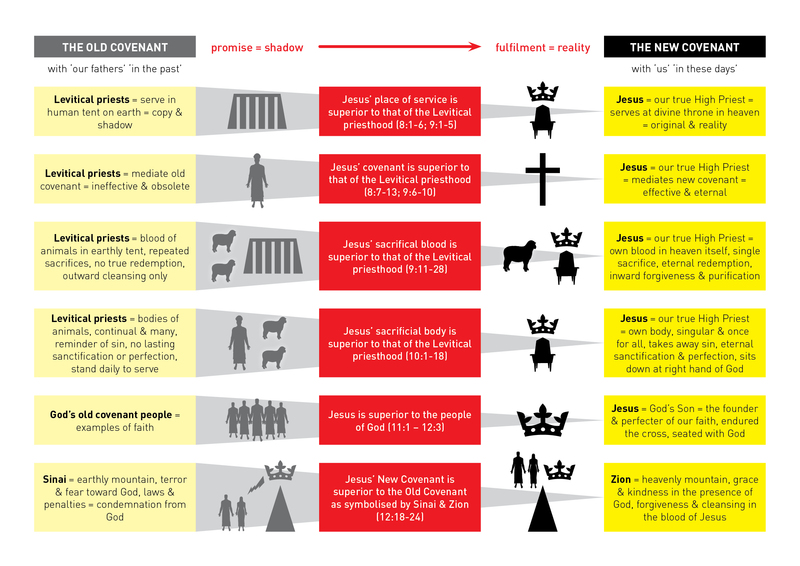 Hi Mark – I too love the graphic for Hebrews. I’m teaching a small group of “Pastors in training” in Namibia over the next two weeks. May I reproduce this graphic in the notes that I give to them? It’s likely that I will re-run this teaching for the next few years – I travel from the UK each year to assist them. Absolutely, Gordon. I’m glad it’s useful in your ministry training.